There is a law of nature that states: “function follows form.” This saying means that how something appears determines how it works. For example, you may own many screwdrivers of different sizes and shapes (form) to loosen all different kinds of screws (function). Think of a watering can with a long spout that’s perfect for pouring water right where you want it, versus one with a broad spout meant to cover large areas more quickly. When you think about it, this principle also applies to your smile. A mouth with missing teeth isn’t nearly as functional as a mouth with a full set of chompers. Enter: cosmetic dentistry. While the word “cosmetic” makes these treatments sound optional, many times they are necessary to improve physical function or mental and emotional well-being. Read more from Dr. Milligan to learn about cosmetic dentistry and the positive impact it can have on your life. Whitening — an absolute favorite when it comes to confidence-boosting cosmetic dentistry. Whitening is safe, simple, has a huge impact on your smile, and a dentist can give you the best results. Alignment — braces and orthodontics can truly transform your smile. Crooked teeth or a poorly aligned jaw increase your risk of headaches, tartar and cavities, bad breath, and many more undesirable conditions. Straighter teeth and a different mouth shape are as beautiful as they are healthy. Bonding — filling in spaces between your teeth or repairing a chipped tooth improves both your appearance and your oral health and function. Veneers — thin but incredibly strong covers on individual teeth that look completely natural. Veneers fix the same problem as bonding but are a longer-lasting solution. Crowns — a replacement for just the top part of your tooth. A crown completely covers the tooth to improve overall look and function. Enamel Shaping — slightly changing the shape or amount of enamel (the hard surface) of natural teeth can give you healthier and better-functioning teeth. Bridges — a set of semi-permanent false teeth. If you’ve been missing a row of teeth, a bridge gives you the ability to eat and smile again with confidence. Dental Implants — permanent false teeth that fill in gaps where teeth are missing that stabilize your jaw and surrounding teeth. Gum Contouring — a little reshaping of the tissue around your teeth can greatly improve the look of your smile and help your gums accommodate future dental procedures that you may need. If your teeth are hindering your overall quality of life and well-being, it’s absolutely time to make a change. When it comes to eating, speaking, smiling, laughing, and kissing, a beautiful, functional smile is essential to a happy life. If you recently kicked a smoking habit, getting your teeth whitened is an excellent way to celebrate the milestone and restore your pearly whites. If you are in school and preparing to face the world after graduation, braces or bonding could be the perfect way to be confident in your smile and put your best self forward. If you have mouth or jaw pain that is preventing you from getting out and enjoying your loved ones, many cosmetic procedures can improve alignment in your mouth and get you back into the world feeling more comfortable. Most dentists should be able to perform cosmetic procedures, but some will have more experience than others. As you can see from the list above, there are a variety of treatments to address any dental issue you might have. 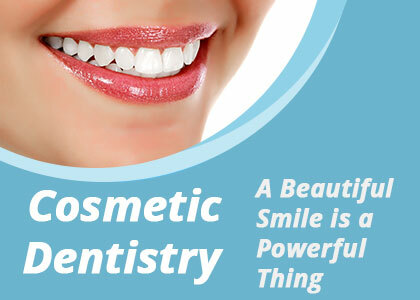 If you are in Incline Village, Incline Dental Carewould love to see you for a cosmetic dentistry consultation. Contact us today and let’s get started!